Geoffrey Webb was a renowned stain glass artist in the last century. He lived in East Grinstead and had his studio/workshop here too. 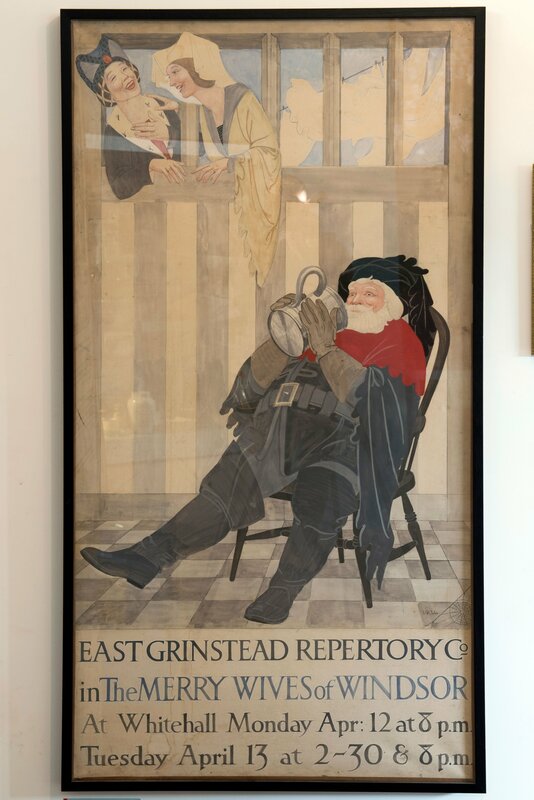 He painted unique posters for the local Repertory Company, of which he was a member.